Co. Tipperary: Ardfinnan, Ballybacon, Ballyporeen (2), Caher (3), Clogheen (2), Deragrath, Newcastle, Tubrid (2), Tullahorton, Tullamealon, Whitechurch. The Board also included 6 ex-officio Guardians, making a total of 24. The Guardians met each week on Monday. The population falling within the Union at the 1831 census had been 40,935 with divisions ranging in size from Whitechurch (population 1,064) to Caher (9,229). 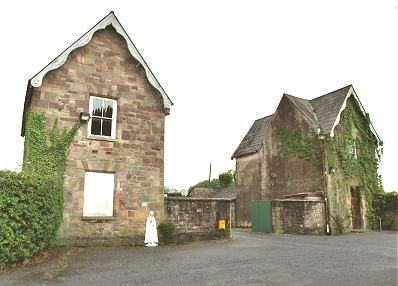 The new Clogheen Union workhouse was erected in 1840-42 on a six-acre site half a mile to the south-east of Clogheen. Designed by the Poor Law Commissioners' architect George Wilkinson, the building was based on one of his standard plans to accommodate 500 inmates. Its construction cost £5,230 plus £935 for fittings etc. The workhouse was declared fit for the reception of paupers on 24th March 1842, and received its first admissions on 29th June. Its location and layout are shown on the 1907 map below. During the famine in the mid-1840s, store sheds were initially adapted to accommodate 80 fever patients. The infirmary was later extended to accommodate an extra 45 fever patients. In 1905, a dispensary was erected near to the road at the north of the site. In 1922, the workhouse building was used to house boys transferreed from Clonmel Borstal Institution. Early on the morning of November 8, armed Republicans entered the premises. The inmates were placed in one part of the building while other parts were set on fire. The parts that were saved included the workhouse hospital and chapel. 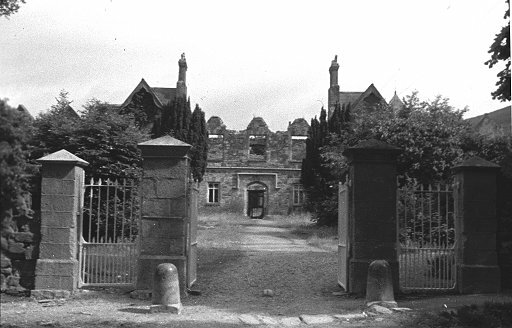 A view of the derelict entrance block in 1932 is shown below. Tipperary Studies, The Source, Cathedral Street, Thurles, Co. Tipperary. Holdings include Board of Guardians' minutes (1839-1923).